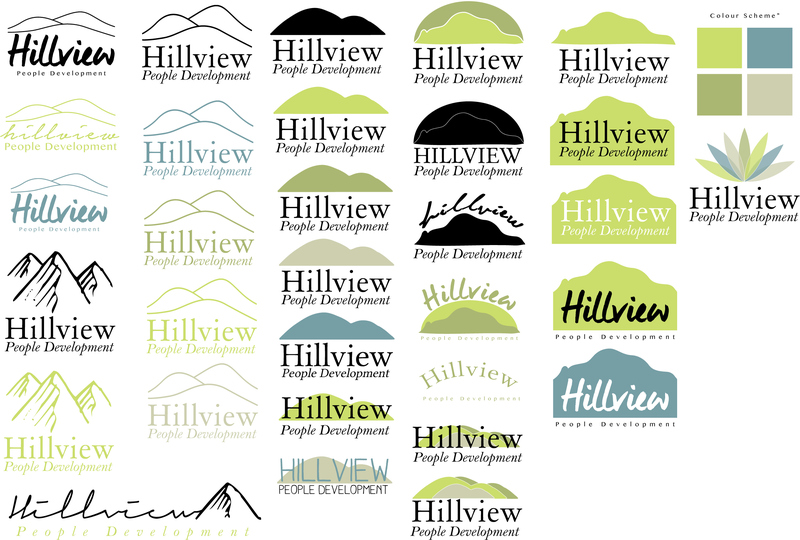 Logo designed for Hillview People Development. Hillview People Development Ltd is a new business founded in April 2014. After a career in retail management, learning and development, human resources and project management, Steve Dodd established Hillview People Development Ltd to deliver a range of values lead, people development solutions. I was asked to design a logo for his new venture. Below are a few of the initial ideas and then the final logo.